Hey guys, it's that time of year again, when we all go gaga for cute Easter bath treats! I posted a video about this that i'm going to share below, so this post is mostly about sharing links to the products I've spoken about as I've told you all what I think about them in the video! Honestly, I LOVE Easter egg hunts, and going round a LUSH store at this time is totally like that - bring on the good chocolate Spring times! LUSH no longer have Lover Lamp up for sale online as it was part of their Valentine's range *cue much weeping from over here*. 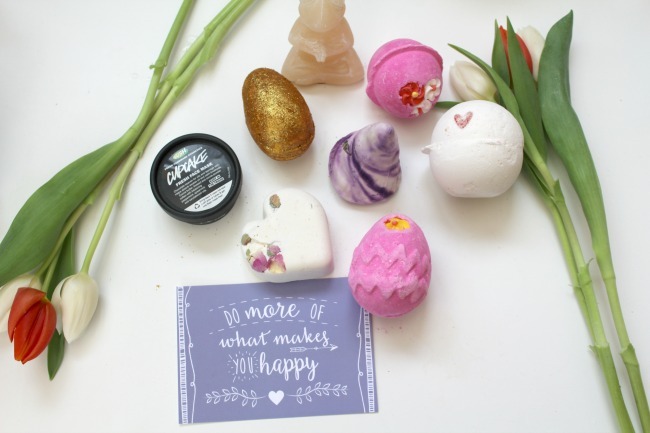 I hope you enjoyed this post, let me know what you've been picking up from LUSH recently! I need the Fluffy Egg bath bomb in my life. I still have some Lush products to use up and to be honest I don't think I'll get chance to try out any of the Easter items as no doubt I won't have used up the ones I currently have. But I hope you enjoy your Lush items. I need to up my Lush game, its been a while since I last purchased some bits so will definitely check these out!